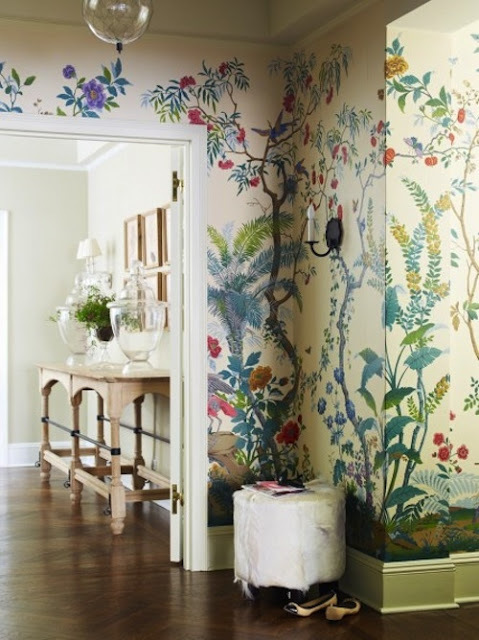 Floral wallpaper is back in a big way, and this image demonstrates just how much impact wallpaper can have on a room. The gorgeous floral mural brings the walls to life with color and personality. Simple furniture and lighting fade away, allowing the pattern to take center stage.